Festival season has arrived again. Each weekend for the next few months, fields across the country will fill with pop-up tents, the sound of music, and people dressed in everything from tiger onesies to tutus. Whether you’re a seasoned festival goer who needs a reminder or a first-timer looking for some survival tips, these are the top 10 things we reckon you need to know. If you’re going to a UK festival, you need to be prepared for every kind of weather, from raging storms to blistering sun. No matter what the forecast is telling you, you’ll be outside at all hours and there’s a good chance you’ll experience several seasons in one weekend. Remember a mini tube of suncream, sunglasses and sandals, but also an anorak and wellies, and layers for the evening. Don’t forget a roll of toilet paper and a small bottle of hand sanitiser, as the portable toilets rarely stay fully-stocked for long. Also remember some bottles of water: you’ll be able to refill them at taps across the festival site. Buying three meals a day at a festival can be expensive, so it may be worth bringing in some breakfast food and snacks. But unless you’re on a really tight budget, don’t bother with a camping stove or cooking equipment: you’ll spend half your time traipsing between the stages and the campsite to prepare your food. OK so the last three tips have been about packing, but pack the right stuff rather than lots of stuff. There’s often a trek between the car park or drop-off point and the campsite, so be strict with yourself and only pack as much as you can comfortably carry. For example, you only need one hoody not three, and a sleeping mat is probably more practical than a big blow-up bed. 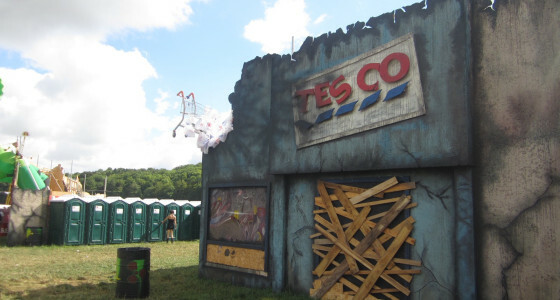 If you’re planning to stock up on supermarket alcohol to save money on buying drinks on site, check the website first. 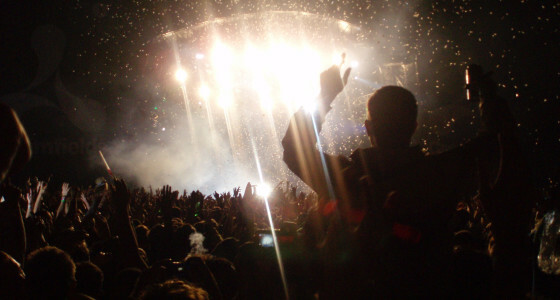 Most festivals restrict the amount of drink you’re allowed to take in, and security officers are likely to check your bags and confiscate anything over the limit. Plus, glass tends to be a no-no, so you’ll usually need to opt for cans or cartons. 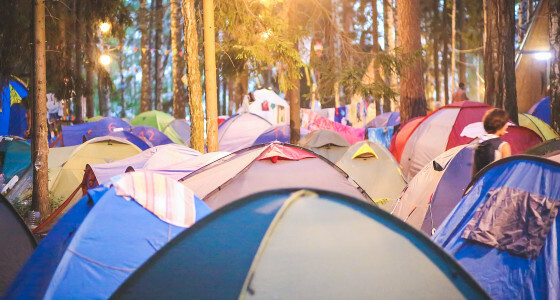 It’s impossible to secure tents, and sadly lots of stuff is stolen from festival campsites each year. Stuffing your fancy camera in your sleeping bag isn’t enough to keep it safe. Only bring to the festival valuables that are absolutely essential and that you can carry with you when you leave camp. Strip any unneeded cards from your wallet before you leave home (although remember ID) and bring clothes with secure pockets or a bag that you can keep close to your body. There will probably be a cashpoint or two on site, but the queues are likely to be long, so since some festival food stalls and shops may not take card payments, draw out some cash before you set off. Your smartphone’s battery probably won’t last much longer than the first day, and phone charging services at festivals are often astronomically expensive. If you have an old handset at the back of the cupboard and a SIM card that will work with it, stick it in your bag. It may be brick-like and lack a camera, but the battery will probably see you through the weekend, so you will still be able to make a call or send a text if you can’t find your friends. 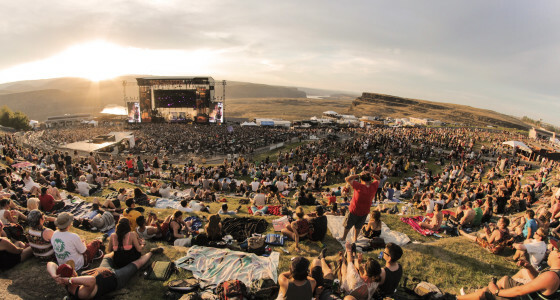 It’s easy to lose your friends at a festival, and your phone may not have battery or signal for much of the time. As soon as you arrive on site, agree on a meeting point in case you lose each other. Scribble down the time and location of the acts you want to see, or print off the line-up from the website before you go. When you get there, festival programmes may be in short supply or you may have to pay for them. In your thirties? Are you making any of these pension mistakes? When you’re back from your festival, settle down to something more serious. Find out how to fix these 6 common mistakes. Read our article to find out.